Purple, green and blurple duochrome filled with tiny flakies. Show stopper that immediately won me over. You have to work a little bit to achieve its bottle gorgeousness. 3 thin layers would be my advice. I used 2 thin layers and you can see that I still wasn’t where I wished to be. Application itself was superb and I had no issues. 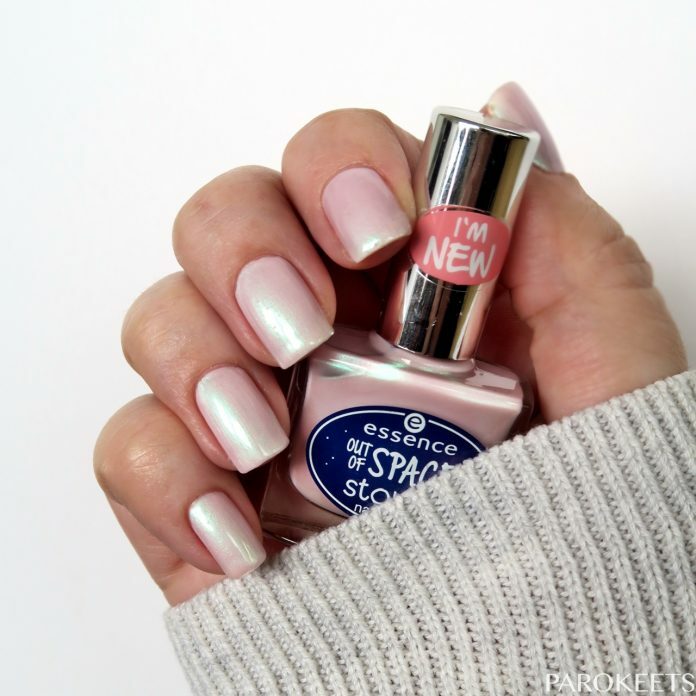 I am by no means pink lover, but this nail polish convinced me to buy it – pale pink base with green duochrome effect give my nails soft but still playful look. Application was not as easy as with Space Glam. Base is more to the pastel side and we all know what that means … work fast. :D 2 coats were enough for good coverage and I feel there was no need for the third one. Black base with scattered holographic glitter … sold. 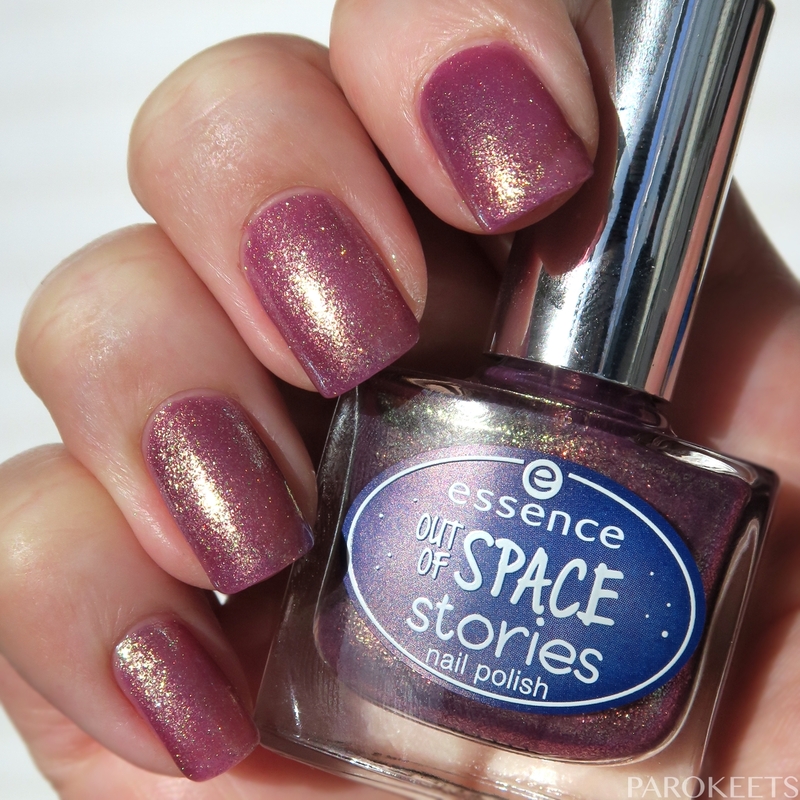 Unfortunately – holo glitter did not show up as strong as bottle was promising. It is a pretty nail polish, but I do wish there was more holo umpf. Application was little bit challenging as base is slightly tacky. Price: cca 2 EUR for 9 ml. 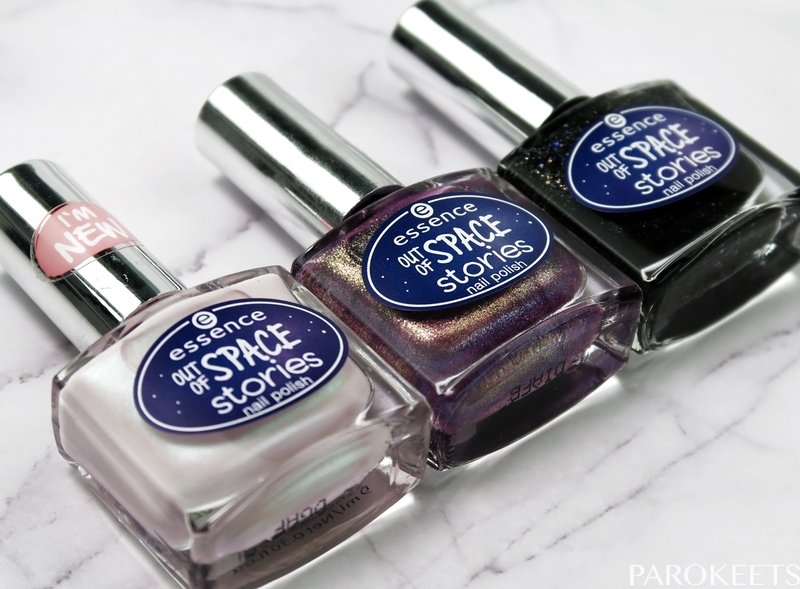 Which nail polish did you like the best from Essence Out of Space Stories? Lepotec, ki je direktno iz paketa skočil na nohte. Essence Slovenia bo zelo všečno prenovil stojala to pomlad. 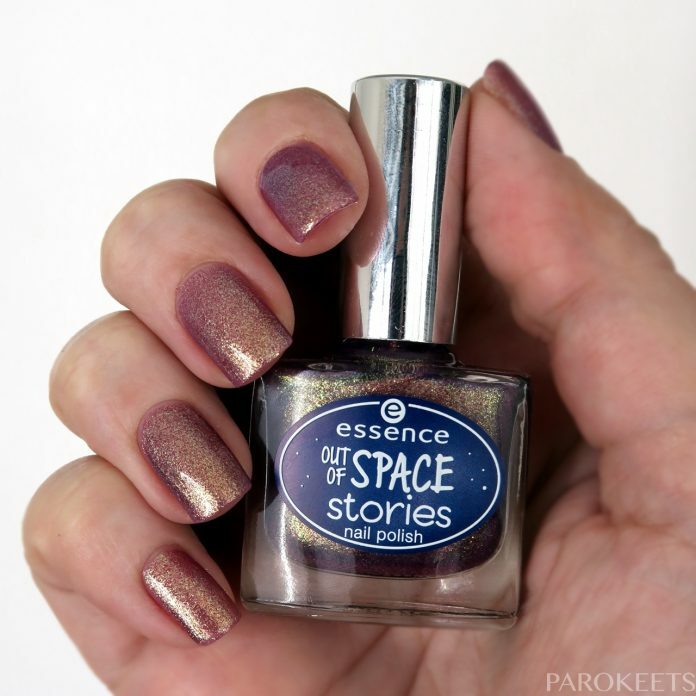 Jaz bi imela kar celo Out of space stories linijo. Kdo je omenjal krčenje zbirke? ? Prav vsi mi padejo v oči in prav vse bi nosila ? Jaz itak obožujem bleščice in vse kar se lesketa. ?